Scientists in Taiwan recently found that placing gold nanoparticles in the leaves of the Bacopa caroliniana plants causes them to give off a luminous reddish glow. 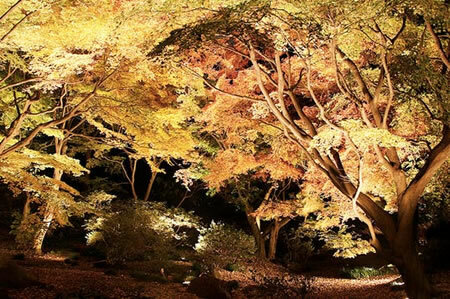 What would a forest of luminous trees look like? 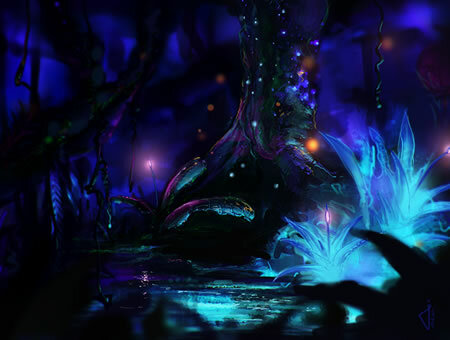 This development may make sf movie-goers think of the luminous trees of Pandora in the movie Avatar. I think that Jack Vance did not forget the beauty of natural light when talking about the amazing house trees of the Iszic in his 1954 classic novel The Houses of Iszm. There were trees comprised of a central columnar trunk and four vast leaves, arching out and over to the ground to form four domed halls illuminated by the pale green transmitted light. Via Inhabitat - thanks, Adi, for submitting a tip!